Thanks to Sixshot, Dusho, and Phanjam for your initial advice and help last year. I'd still be lost without your input! 1. World of Warcraft (for obvious reasons). 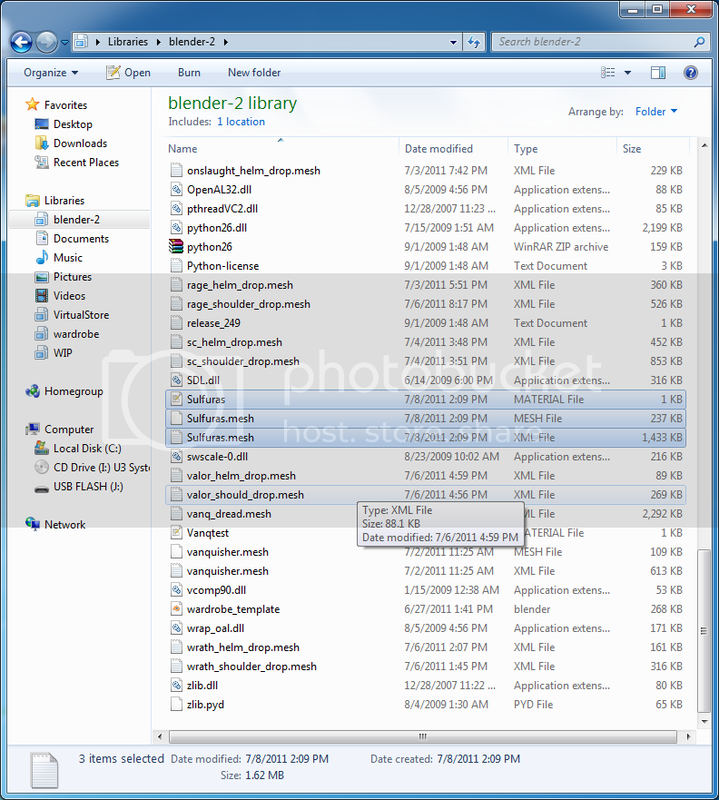 http://download.blender.org/release/Blender2.49b/ for your respective computer OS. I used blender-2.49b-windows.zip. 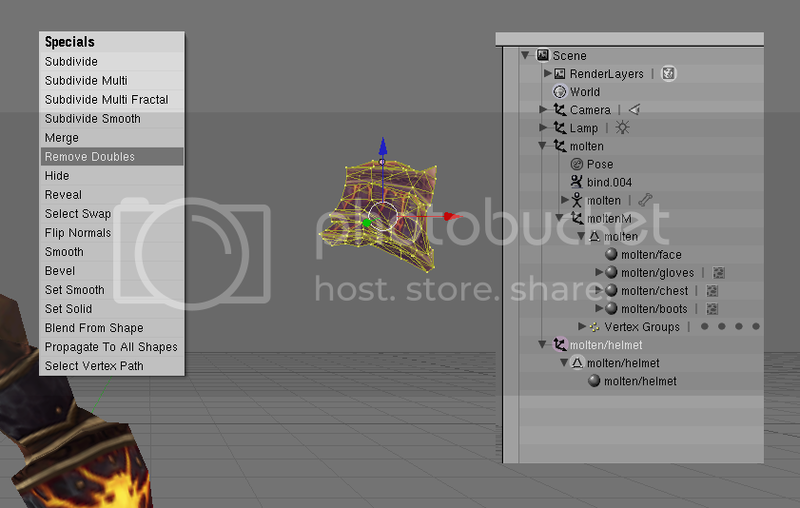 http://www.ogre3d.org/download/tools. It's at the very bottom under Miscellaneous - the ogrecommand-linetools. 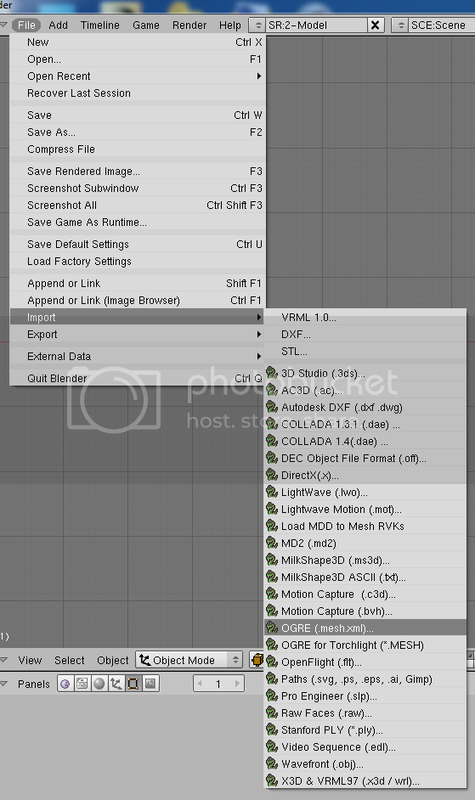 6.Import/Export scripts - you need to place these scripts within your Blender directory. Second, you need the Blender export script, found here: http://www.ogre3d.org/forums/viewtopic.php?t=45922 - link is on the first post of the forumn in .zip format. 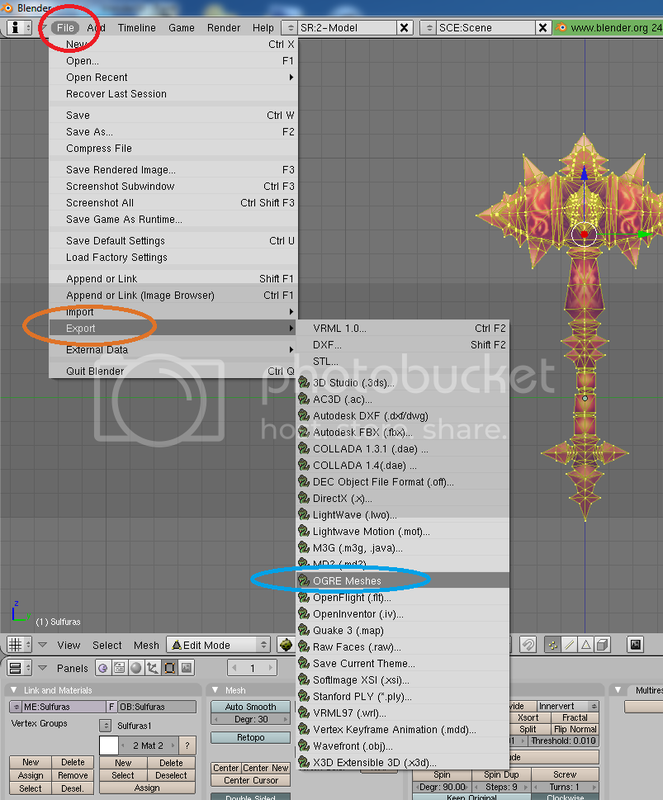 This script will tell Blender how to export your 3d model in Blender to the appropriate format so that Torchlight recognizes it (or something like that I think). 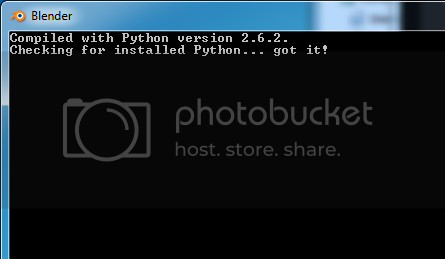 Place the ogrehelp, ogrepkg, and ogremeshexporter.py in the same folder that you placed your other python import script. I don't believe you need to text edit the export script like you did for the import script. Fourth, you need to download the armatureexport.zip, again, posted by Dusho from his write-up here: http://www.dusho.net/tutorials.tl_SkeletMesh.htm. The link is 3/4 down the page under the "Exporting Mesh" section - grab it, and replace it with the one already found in your '.blender\scripts\ogrepkg\' directory. If you get an error message when you try to open Blender, saying something about the side by side configuration could not be established...blahblahblah, I found a workaround for it. Download the Microsoft Visual C++ 2008 SP1 Redistributable Package (x64) from here. 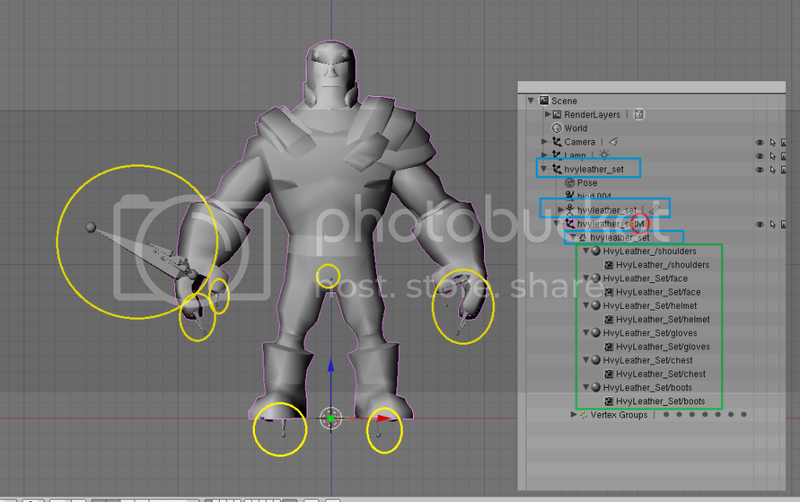 For whatever reason, this resolved that error for myself and many other blender users who encountered that error. Every weapon or shield you put into TL needs to go it's own named folder within either of these respective directories. 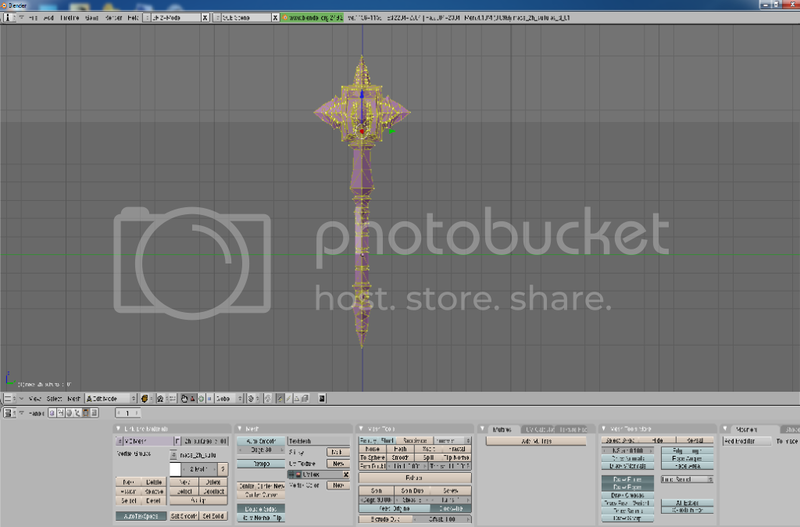 When you import a new weapon into TL, you'll place it all in a named folder, like Starsword, and place the starsword.mesh, starsword.material, and starsword_texture.png within that folder. 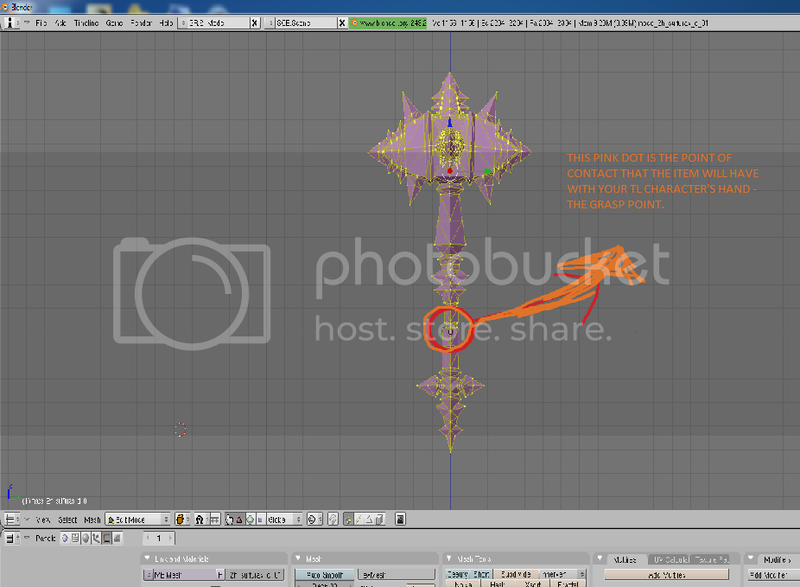 You then place it in WoW Mod\media\models\weapons\Starsword. Pretty self-explanatory. 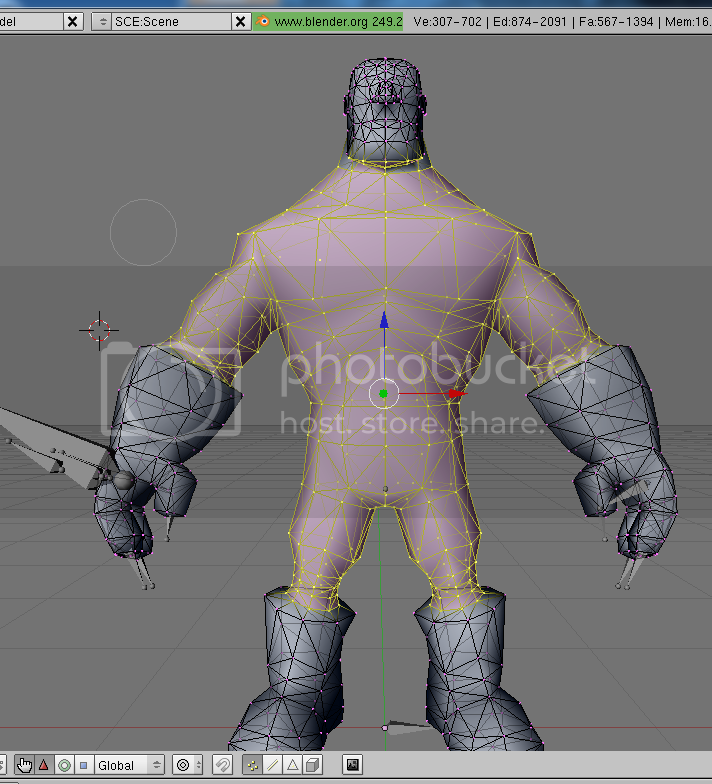 To export this model into blender, hit File -> Export Model -> OgreXML (Note: the first time you run WMV, you may need to set your preferred exporter to ogrexml under export options). Then you need to tell WMV where you want the file exported to. I have a WIP folder on my desktop that I solely use for modding, so I'm going to export it there. 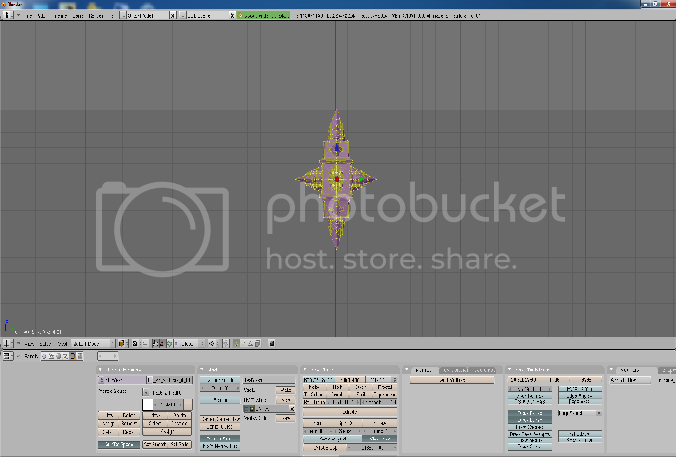 Once export is complete, it's time to go to blender. Commentary: The '1' and '3' on your keypad change the point of view in blender. 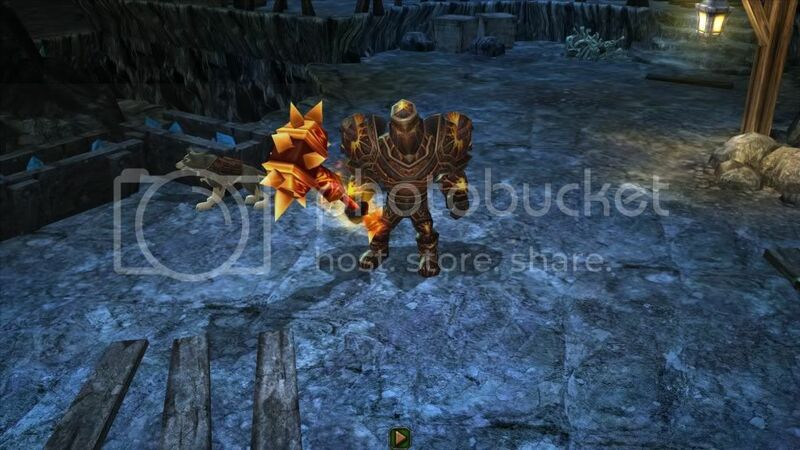 As you have it right now, you're looking at the mace from the left side of your character in TL. If you ported this in right now, not only would it not be textured (to be covered next) but it would be positioned horizontially across their waste, which you don't want. Go ahead and zoom in with your mouse wheel. You can press and hold your mouse wheel button down and move the image so you can see around it as well. If you need to re-center, just hit '1' and then '3'. 4. 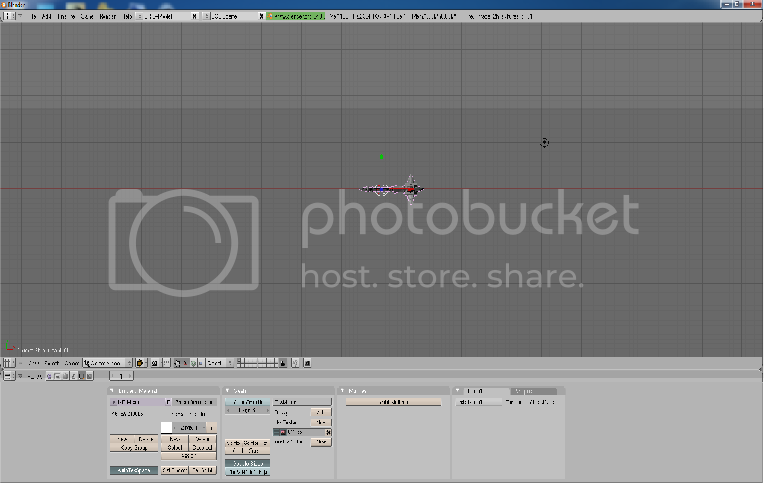 If you split your screen like mine, then you have your UV/Image Editor in the lower right hand section. 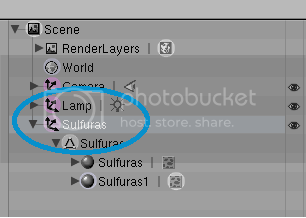 Select Image -> Open -> and then select the directory where you just placed your sulfurustex.png. 6. 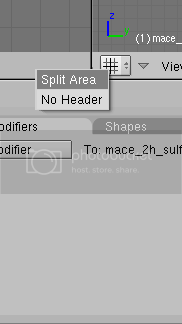 Rename your mesh and material files listed in the 'Outliner' section that you split earlier. 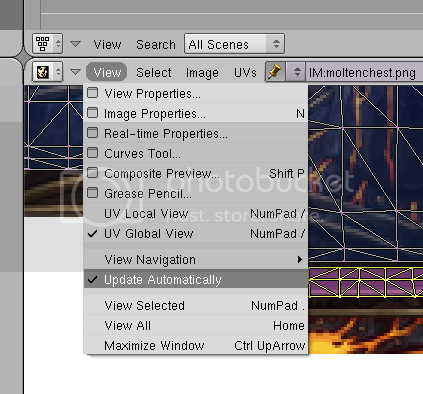 You do this by holding CTRL and left clicking on the material. You will become a pro at this, as you will have to do this every time you want to import any mesh into TL, be it a weapon/shield or armor. While you CAN name them practically anything, a few words of wisdom. First, there is a 21 character limit so keep the names relatively short. Second, name them something that you can recognize and associate with the model you are working with! While you can name this 'hotghettomess' if you want to, it might be a bit hard to tell what mesh/model it is when you're scanning through 100 of your items in your WoW Mod down the road. I named mine as follows, and I'll tell you want each of the colored boxes means below the image. Commentary: you'll note that some of the WoW weapons you import may have 1 material or 7+ depending on their complexity. While TL only really needs 1 material associated with a texture to render the item textured correctly in-game, it's best not to delete these materials when porting in weapons or shields into TL. Helmets and shoulders, which I'll cover in a later section in this tutorial, are a different matter and only have 1 material per mesh, but you need not worry about that yet. Just remember this for weapons and shields. 7. 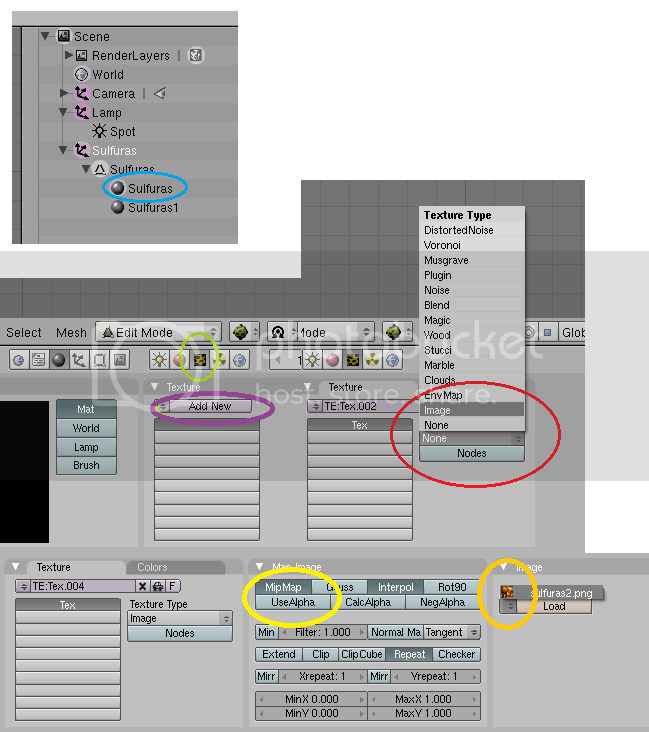 You now need to assign the texture we opened in step 4 to each of the materials. 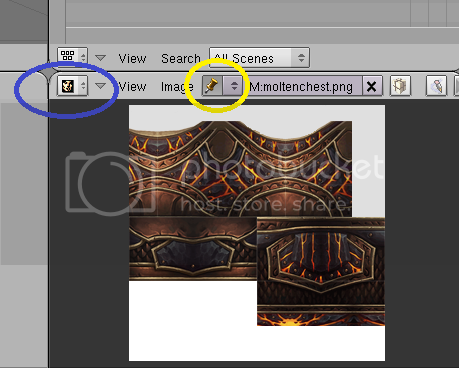 Simply 'left-click' on the first material to select it. You'll know which material is active because you'll see a faint grey circle surrounding the black circle icon next to each material. Now, look at the bottom of your screen - we've been ignoring the panels that run the length of the bottom of the screen up until now because, well, I didn't find them necessary to mention until now. With your material active, you need to then switch from the material button (which is always the default screen on the bottom when you select a material) to the texture button. You can either click it or press the 'F6' key - whichever is easier. Look at the picture below as a diagram, which I'll be explaining next. Now you should see a 'Map Image' box appear to the right. The yellow circle is there to show you that you need to DE-SELECT the 'usealpha' button. 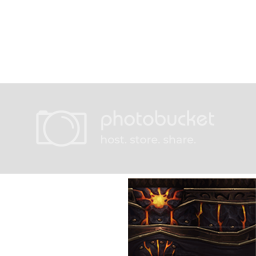 Next, move over to the 'Image' box and click the up/down arrow box next to the 'load' button, see the orange circle. This will pull up the sulfurastex.png that you opened up back in step 4. First, switch back to the 'material button' by clicking on the red circle or pressing 'F5' as shown by the red circle #1 in the image above. 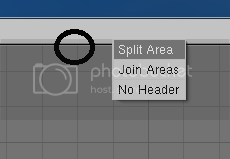 Second, click on the 'map input' tab, as shown by the blue circle #2 in the image above. 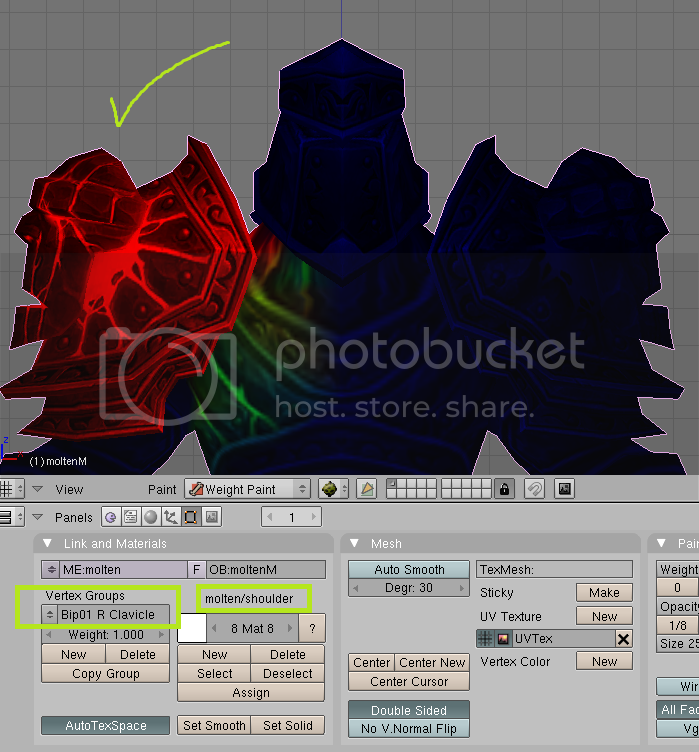 Finally, switch to 'UV' by selecting it, as shown by the orange circle #3 in the image above. 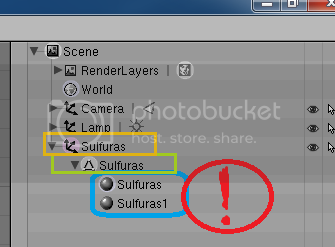 The green circle is showing you that you have your mesh, which we named Sulfuras, selected! 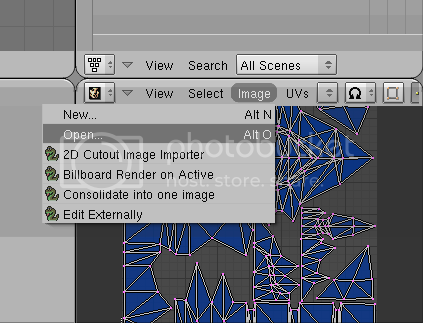 It's always nice to double-check that you have your mesh actively selected before exporting. 4. The yellow circle is the 'preference' button - click on this now. The first time you export a model in blender, you'll need to tell it where to find your OgreXMLconverter.exe (commentary: part of ogrecommandlinetools that you downloaded way back at the start of all this!) Select the 'manual' button as shown in the orange circle. Then you'll have to manually select the ogreXMLconverter.exe, then click 'select converter'. 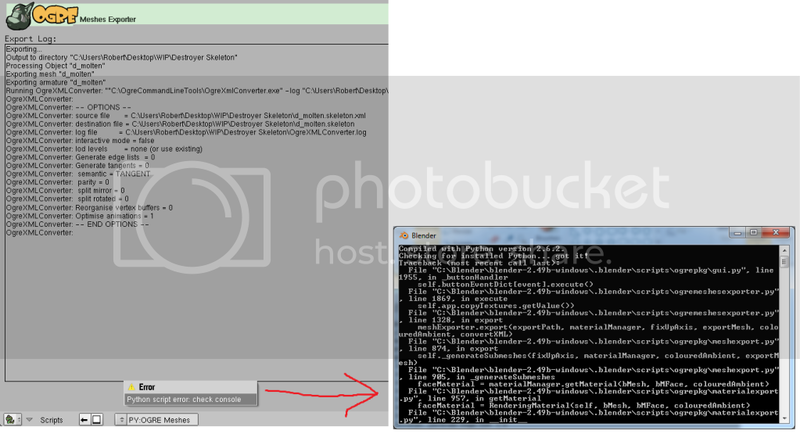 Notice that you'll then see that blender has found your ogrexmlconverter.exe path as shown in the red circle. Finally, click 'OK' (as shown by the light green circle). This takes you back to the initial export screen you were just at. Simply click 'export'. Commentary: There's been some talk on the forumns in the past about the the .dat.adm files. As far as I've seen, once TL has read your .dat file upon loading, it'll generate a second .dat.adm file. Just ignore them. If you ever need to change your .dat file, due to errors or whatnot, when you re-load TL it'll generate a new .dat.adm and overwrite the old .dat.adm file. 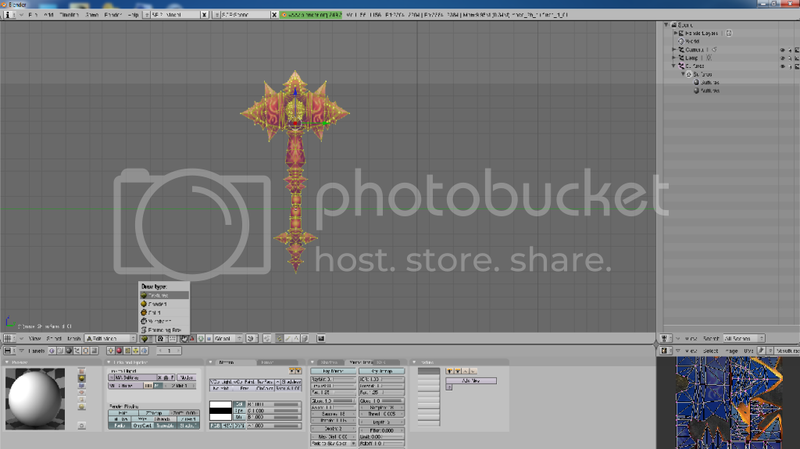 Creating a custom icon is quite simple, but optional. TL will spawn your newly imported item with no icon attached, but that's no fun is it? 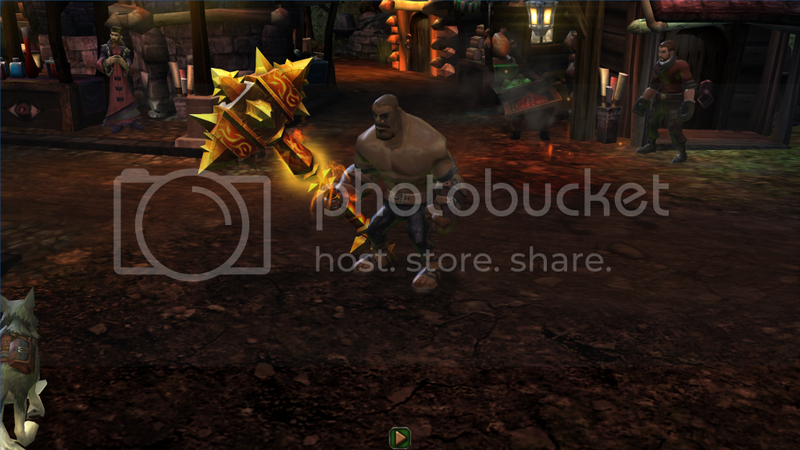 You'll need to take a screenshot of your weapon in WMV. 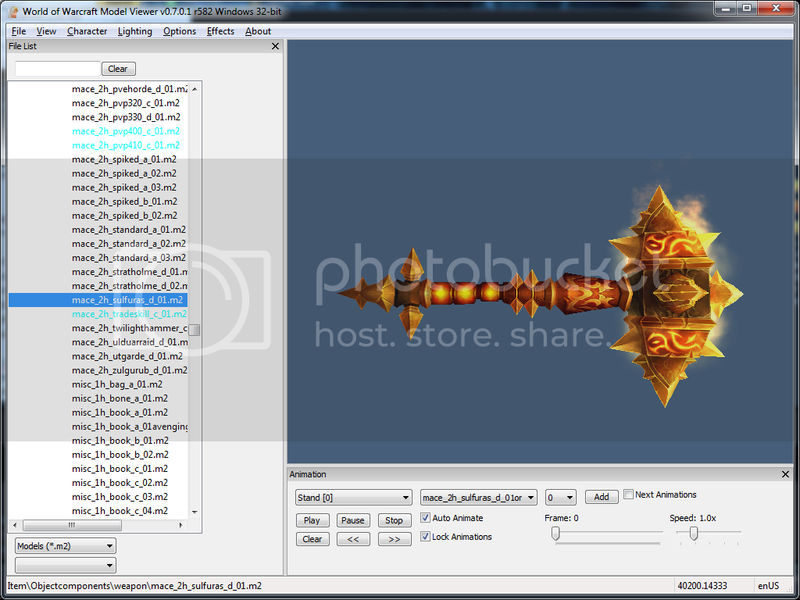 With WMV open to the weapon you imported (in our case, Sulfuras), select File -> Save Screenshot then designate a place to save the screenshot. I always send my screenshots to my WIP folder on my desktop. It'll spit it out as a .bmp format. 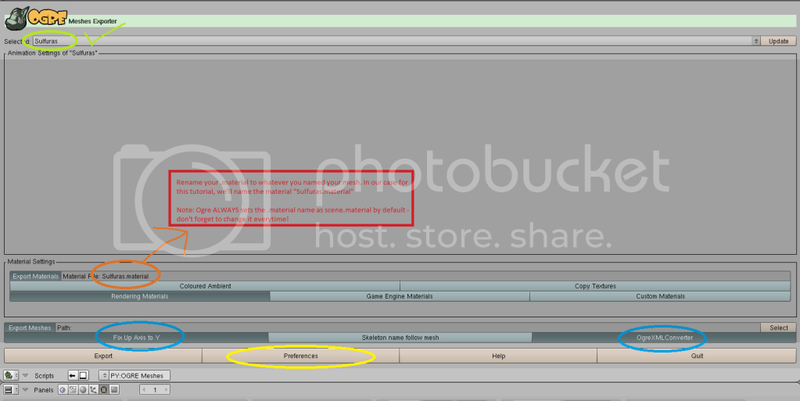 You'll need to open the image in a photo editing program, rotate it to your liking, then resize it to 64W x 96H pixels. 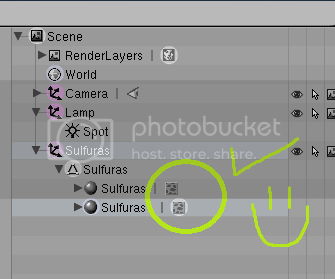 Save it as something like sulfuras_icon.png (I save all mine in .png format, icons and textures - never tried another format so can't speak to it). 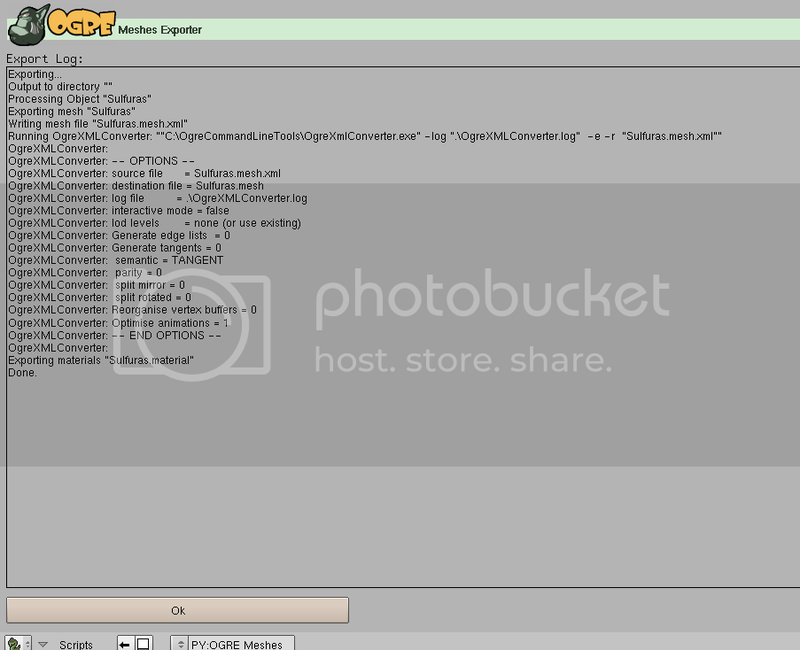 I bet you're asking, how the **** do I create an .imageset file? Please note that this is far more difficult than importing weapons. If you're just starting out, I highly suggest you get your feet wet with importing some weapons before moving on into armor sets. I'm not going to hit all the details around manipulating models in Blender since they are covered in-depth in part 1, so if you have questions that are not directly addressed here, please refer back to the first part of this guide before PM'ing me. First thing you need to do is open WMV. 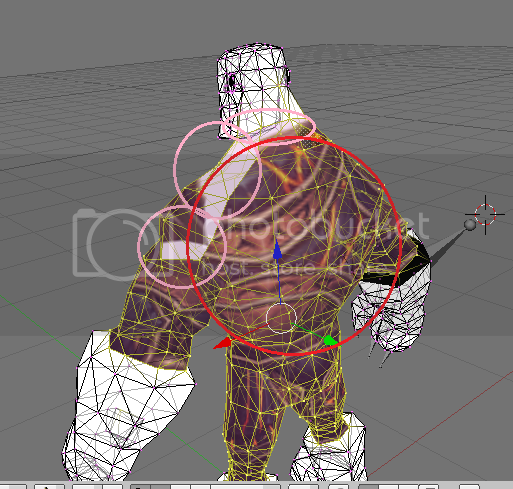 Select Characters, then select the human male model (since the textures sit more evenly on him). Next, select the chest, legs, gloves, and boots and pull up the molten giant piece that corresponds with each (for the boots, type in cracked obsidian stompers). Now the fun begins! 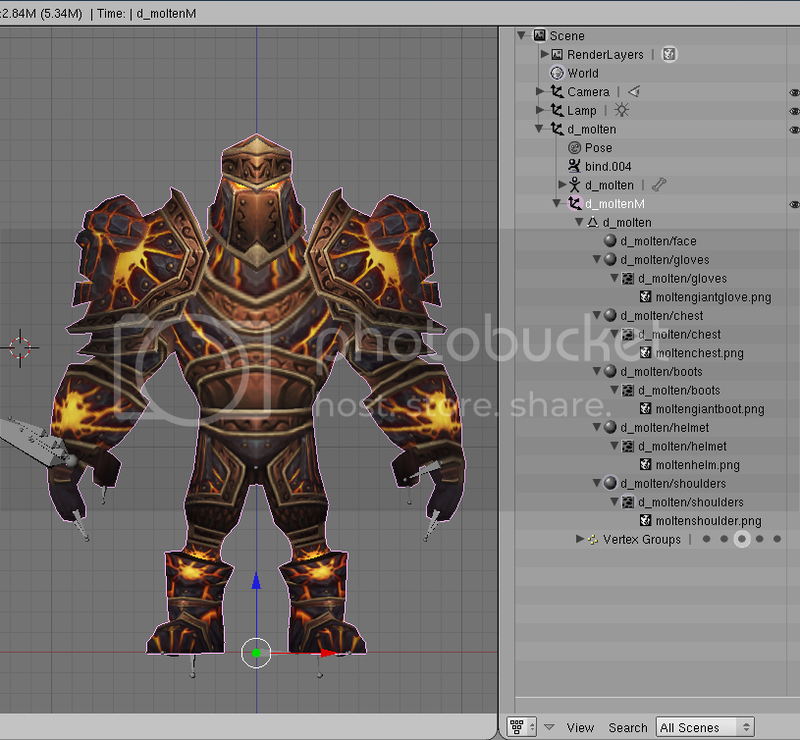 Open up blender and go to File -> Import -> OGRE for Torchlight. 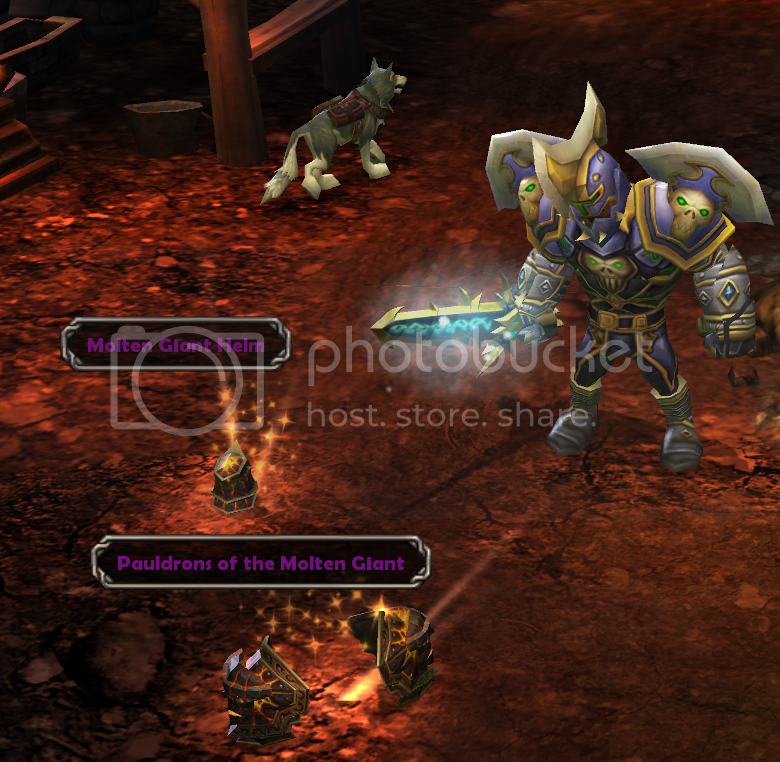 Now you need to make your way to your Torchlight assets folder (pak.zip) and find a model you want to use. 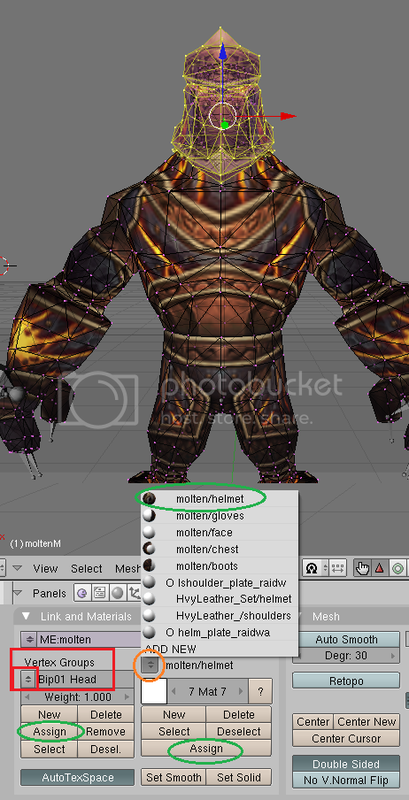 For this tutorial, I'm importing the hvyleather_set.MESH.xml. I've already made copies of all the different character meshes/skeletons and put them into separate folders (one for the destroyer, alchemist, and vanquisher). We're using the destroyer for this tutorial because I find him easier to work with when you're just starting out. Yellow circles - I'm highlighting the various skeleton frames for you. They look like spines. Don't worry about these, you don't ever need to manipulate them. 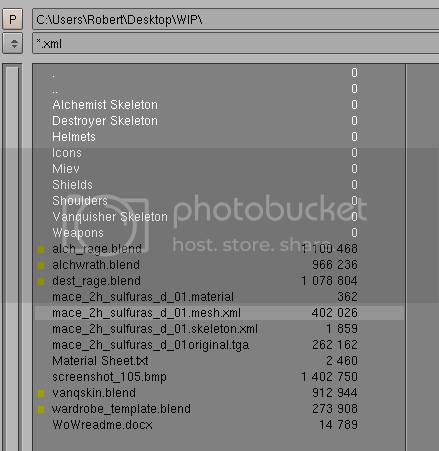 Blue boxes - here you need to rename your character meshes/skeleton. Pay attention to the red circle, you must leave that M at the end of your mesh name for this line only. Green boxes - these are your materials which will need to be renamed as well. 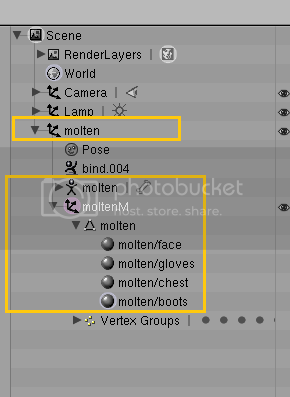 In the following image, you can see that we've now renamed the player mesh and skeleton as molten and moltenM respectively. Also, we've unlinked the boxes attached to each material to remove them. Next, we've renamed the materials to the following four (deleting any extra materials), molten/face, molten/gloves, molten/chest, molten/boots. 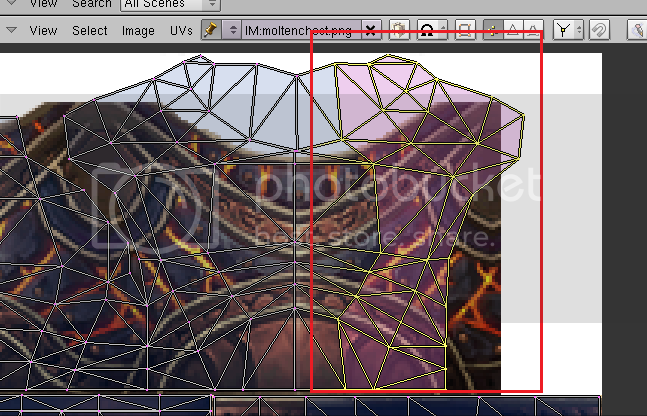 To texture the chest area, make sure your bottom right screen is sectioned off and is set to UV/Image Editor. 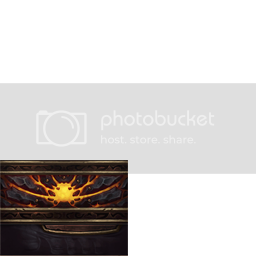 Select Image -> Open -> and then find where you saved your moltenchest.png from earlier. Once open, click the thumbtack so it turns yellow, thus sticking the texture. There isn't any real secret I can share for how to go about lining up your wire frame quickly and easily. You'll get better at it the more you practice. For now, I'm enclosing these screenshots so you can see the steps I took to get my textures lined up nicely on the model. 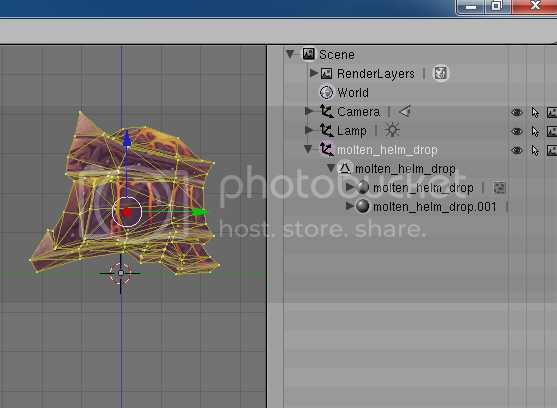 The orange box - this our chest material that we just finished adding the moltenchest.png texture too. 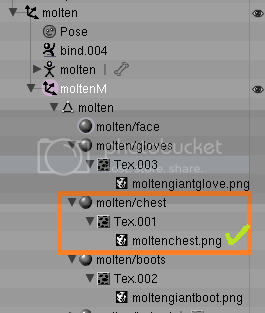 You can tell that it has a texture assigned because there is a little face with moltenchest.png attached below the tex.001 (green check mark). 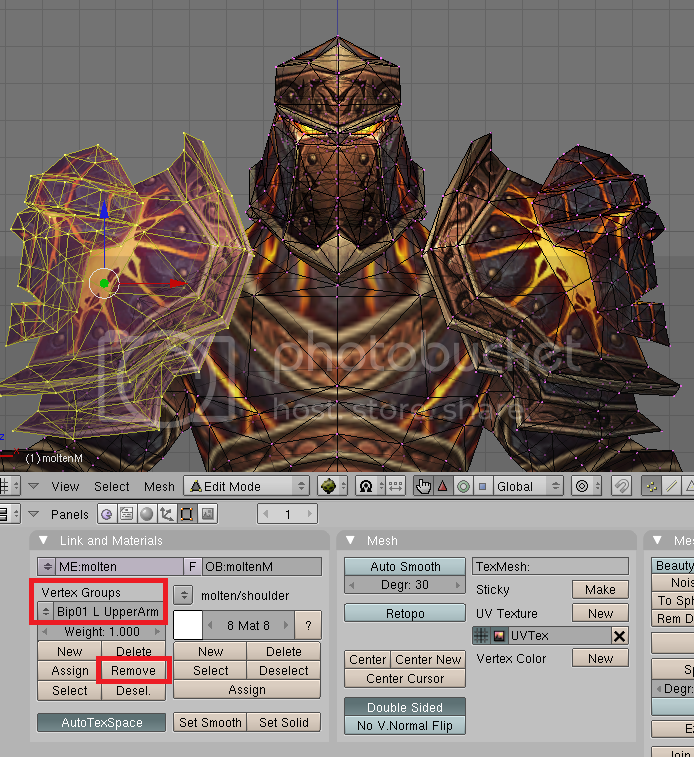 In the future, you can do step 4, which involves exporting of your helmets and shoulders from WMV, when you do the armor texture exporting at the beginning of this tutorial. I didn't mention it ahead of time because I didn't want to overwhelm folks with too much to-do work up front. If you are following this along completely, go ahead and save your current model work as something you'll remember! 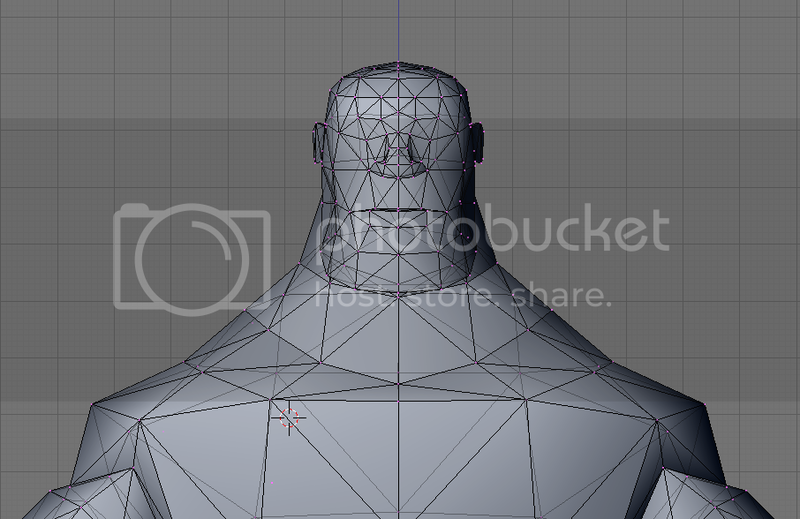 We'll be reopening the file later after we create helm and shoulder drop meshes to add them to the model. In and of itself, these drop meshes will not display on your model. 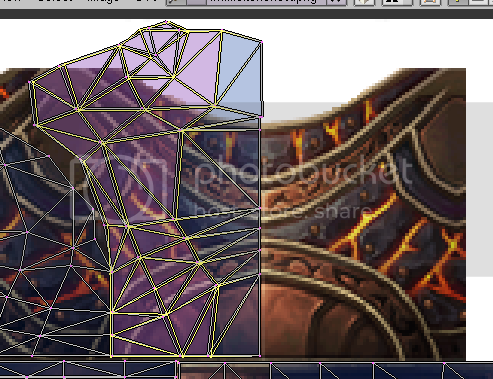 For that, you have to import your completed helm/shoulder drop mesh into our working model and join the two together. I'll be explaining that joining process later. Export these the same way you would a weapon. 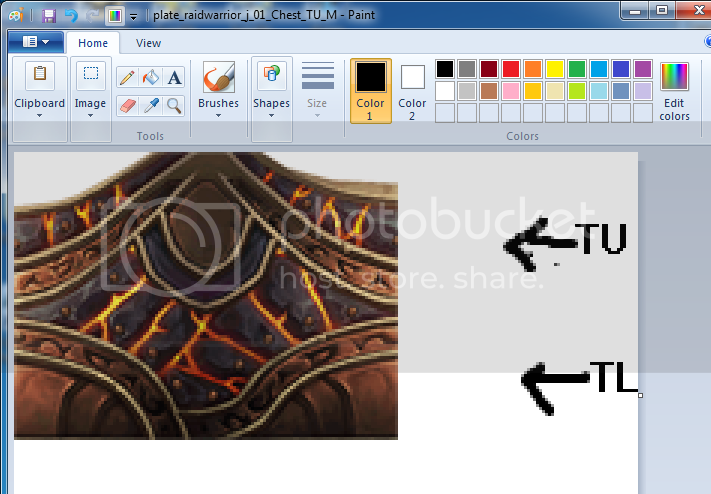 Save the texture as moltenhelm.png and moltenshoulder.png respectively. Before closing WMV, if you want to take sceenshots of both to helmet/shoulder icons for later, go ahead. This is the same process for weapons in part 1 of the tutorial. 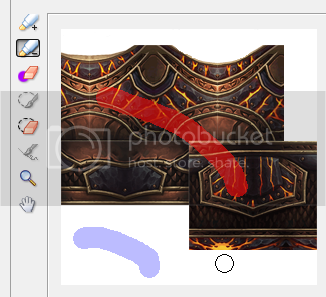 The * is where you will place all your helmet, shoulder, glove, boot, and chest textures. This is also where our finished helmet and shoulder drop meshes will be stored, along with actual molten armor mesh/skeleton files and the *.material files (more on all those later). 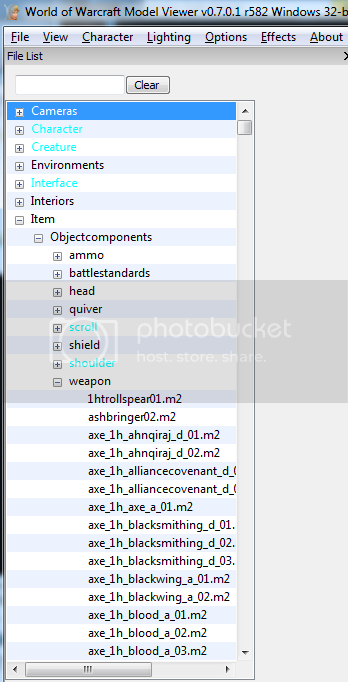 Go ahead and place your moltenhelm.png texture in your mod folder, then open up blender. 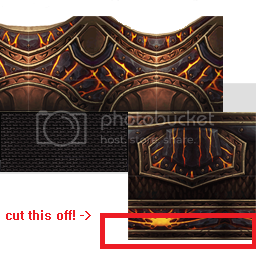 Import your molten giant helm, center it (if you want a centered helm when it drops in-game) and texture it. If you are unsure how to do this, refer back to part 1 of the weapons tutorial. It's the same process. 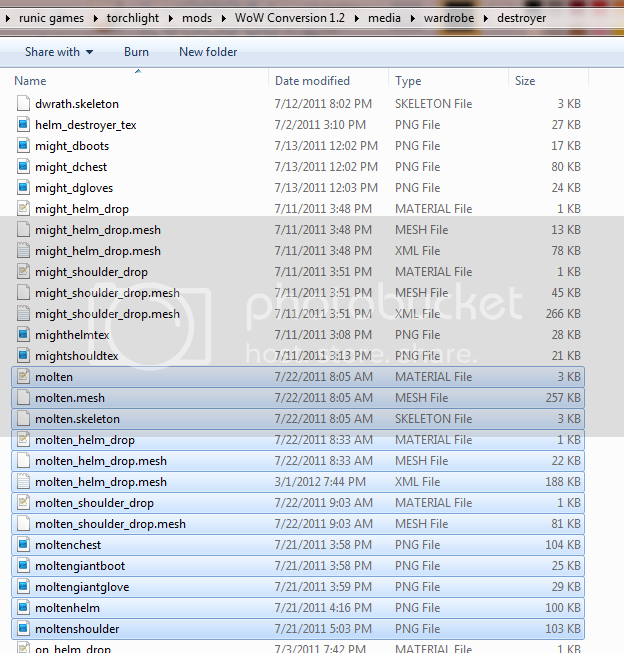 Let's go ahead and set up the rest of the .dat files for these drop meshes while we're at it. This is the actual drop mesh that you just finished making in blender. This is eventually going to be our finished model mesh that we began work on. 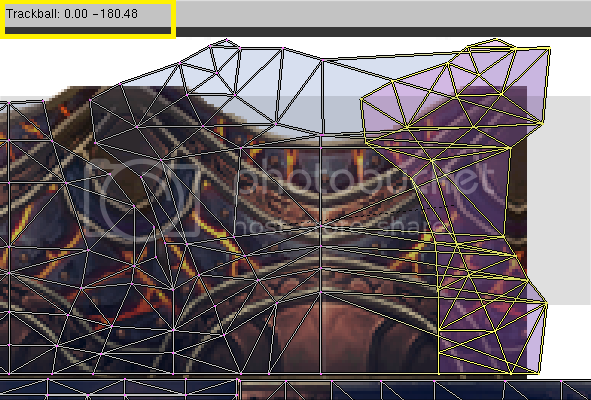 This tells Torchlight that the helm belongs to this specific mesh. After you have these set-up in your mod file ready to go, let's re-open our saved model in blender and pick up where we left off at the end of step 3. 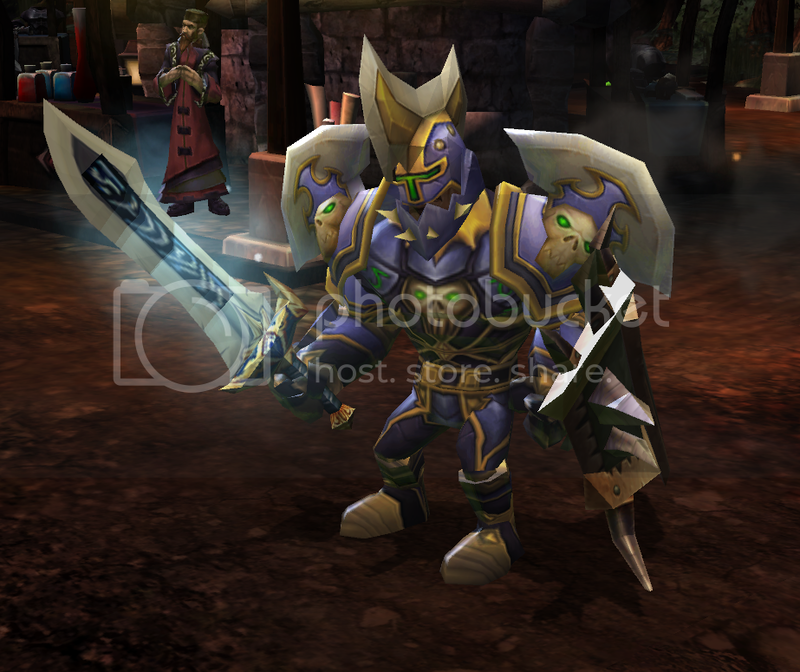 Note: the image above does not show a properly textured helmet. 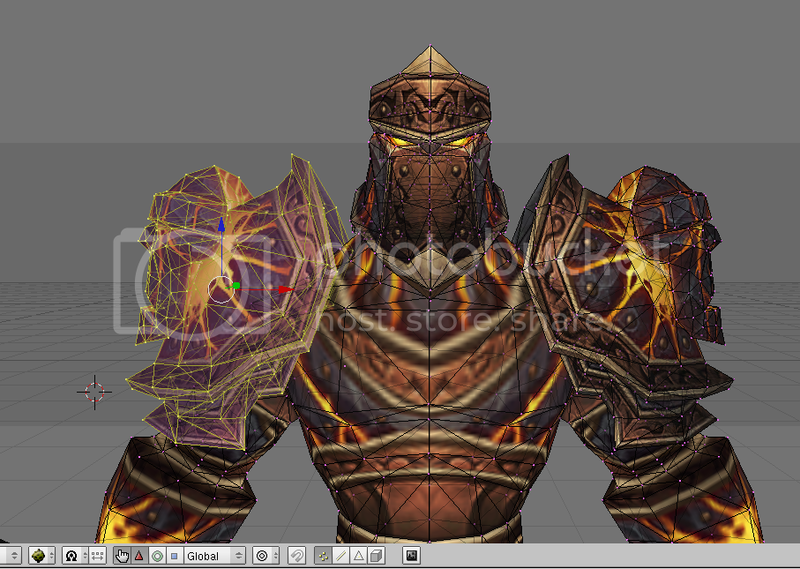 When I did this, I originally imported the initial helm mesh that I exported directly from WMV. 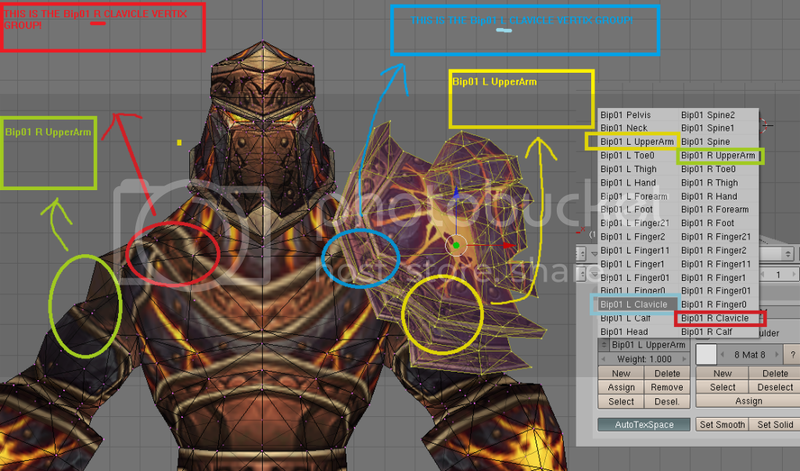 You can do that as well if you skipped ahead and didn't make drop meshes for your helmet/shoulders from step 4 yet. 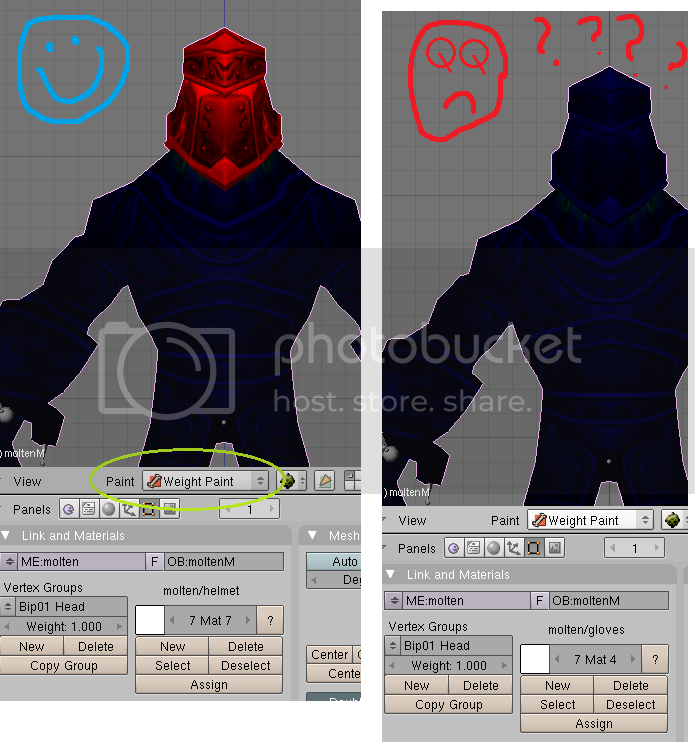 Just know that you'll need to manually texture the helm/shoulders first before you go ahead and join them to the model. On the other hand, if you've been following along and imported your newly created molten_helm_drop.mesh, it should already display as textured when you switch to texture view in blender. Here are some keyboard shortcuts that you should commit to memory! R - rotates the selected mesh. Press R several times to change the field of rotation. M - mirrors a selected mesh, often used in combination with X, Y, or Z to move it along each axis. In the red box, change your vertex group to Bip01 Head and click assign. 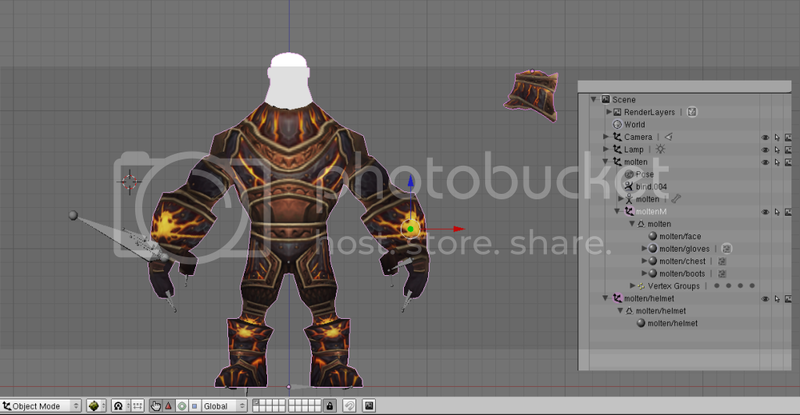 Next to that, the orange circle is showing you to click and make sure that your molten/helmet material (with texture!) is selected - click assign again. Thankfully, the initial steps here are the same with the helmet. You want to import your molten_shoulders_drop.mesh the same way you did with the helmet with one minor exception - delete one of the two pauldron meshes by selecting its vertices and pressing DEL. We'll recopy it later after merging it with the model. After joining the shoulder mesh to the model, rename it Molten/shoulders, along with each material...same pattern as with the other materials underneath our moltenM mesh. Next, we need to join it to the shoulders. Throughout this, make sure you keep your shoulder mesh actively selected so that you can manipulate it apart from the model. We don't want to move the model or helmet anymore, just the shoulder. Assign this newly cloned shoulder pauldron to the Bip01 R UpperArm and Bip01 R Clavicle. IMPORTANT! 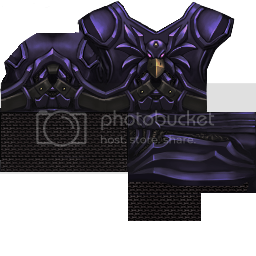 You need to remove Bip01 L UpperArm/Clavicle vertex groups from this shoulder pauldron since it was a direct copy of the previous one. When you copied it, you also copied its previously assigned vertex groups. 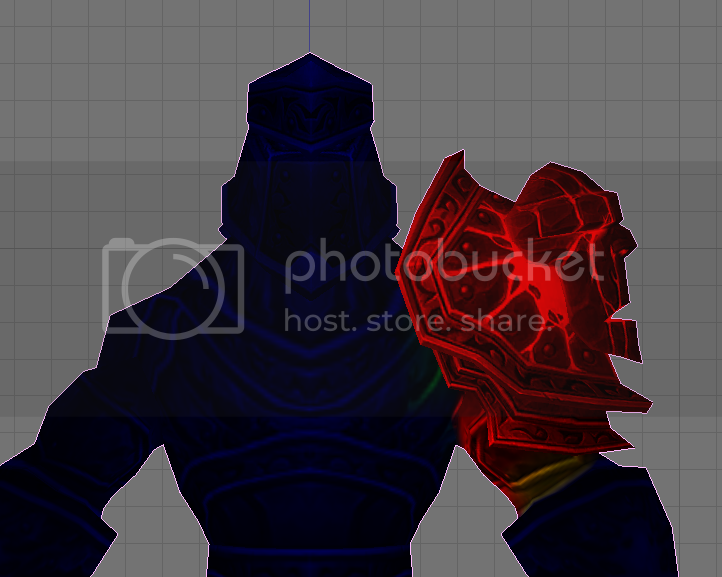 This will result in some bad alignment of the shoulder pauldrons in-game. 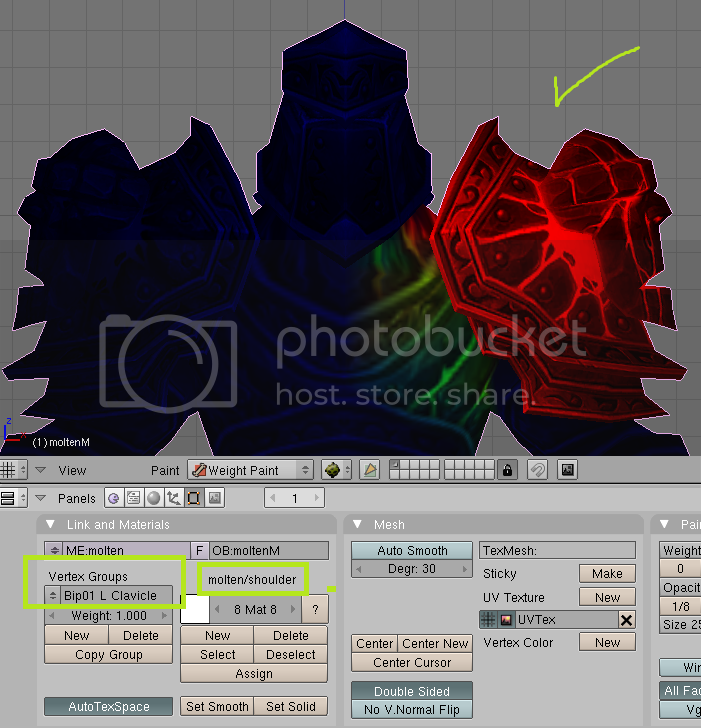 Check your work with WEIGHT PAINT mode and flip through the various vertex groups you assigned to make sure that their respective shoulder pauldron glows red appropriately! You want to export it in a similar fashion as you would for a weapon, changing the material name to molten.material (again, refer back to part 1 of the tutorial for questions with exporting). Lastly, before booting into Torchlight and trying out the gear, we need to make some final .dat files for this armor set, mainly the chest, gloves, and boots. 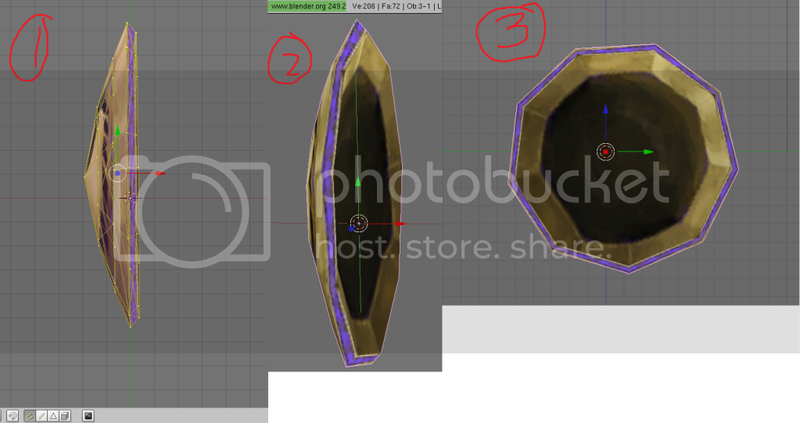 This points to where you saved the moltenchest.png texture we assembled at the very beginning! 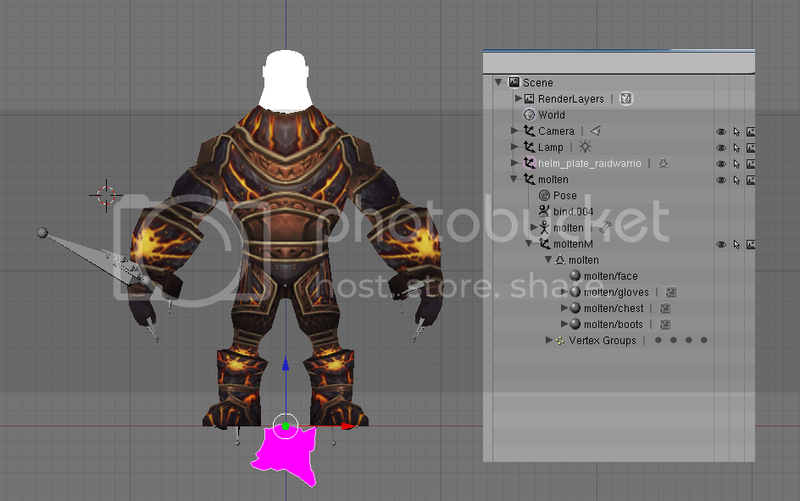 This points to our newly finished character mesh, which we saved as molten.mesh and placed in that folder tree shown. 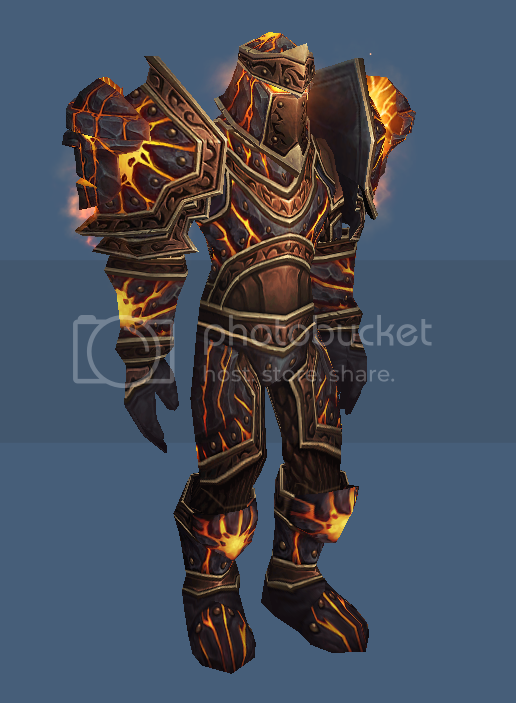 Here is our newly clad Destroyer in Molten Giant Tier 12 raid gear! Have fun and go mod something! Can I re-post this tutorial of yours onto the tl2 modding wiki? Yeah sure thing, although the steps required to do weapons in TL2 differ significantly from my TL1 tutorial and likely won't help anyone stepping into modding TL2. Same goes for the armor - it's not transferable to TL2. Hmm yeah I see now what you mean. Well it's STILL a FANTASTIC tut any way you cut it you da WoW master and always will be!